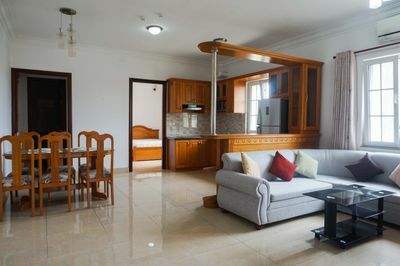 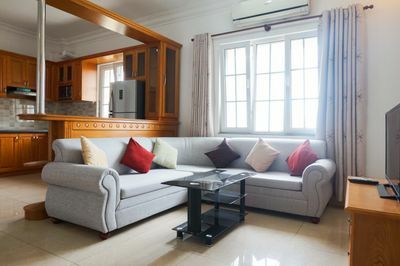 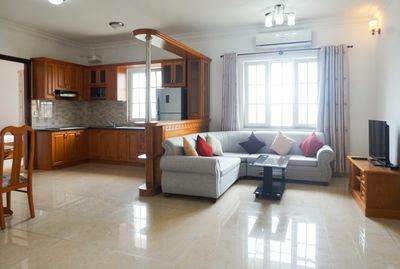 This serviced apartment is a good choice for your big family. 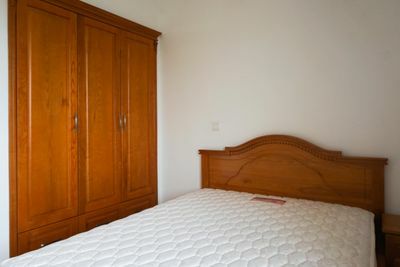 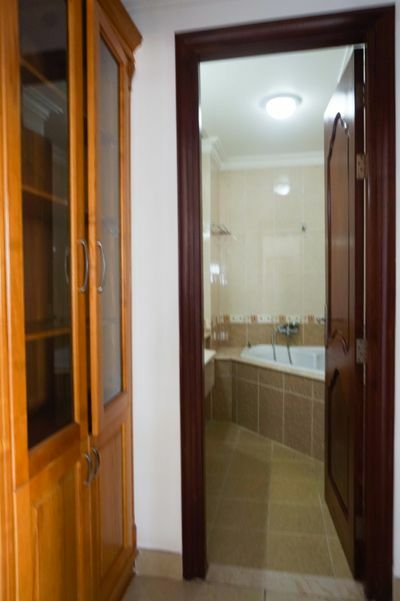 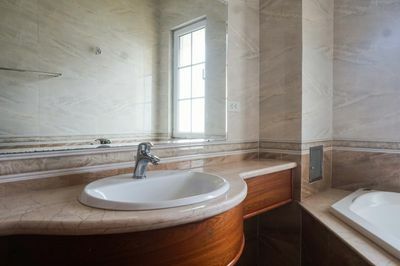 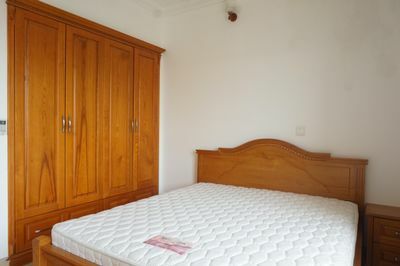 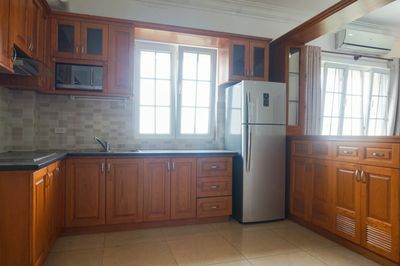 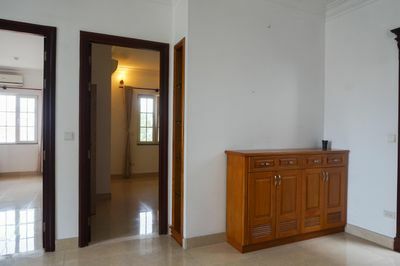 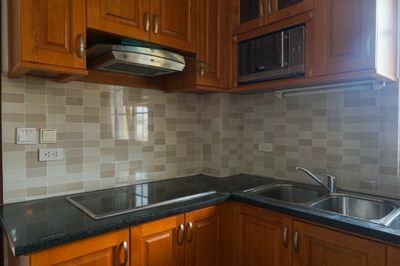 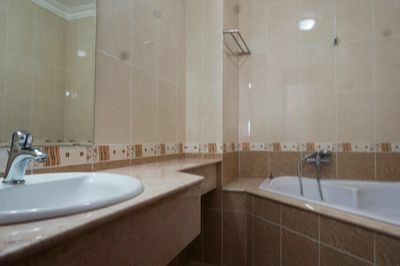 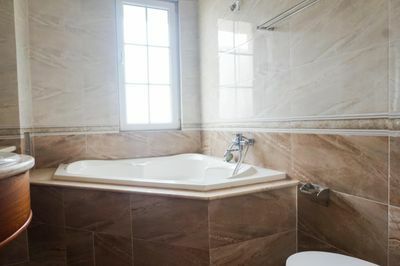 It is equipped fully furniture including TV, AC, kitchen, kitchen appliances, microwave, washing machine and 2 bathtubs. 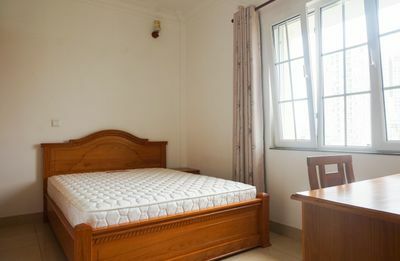 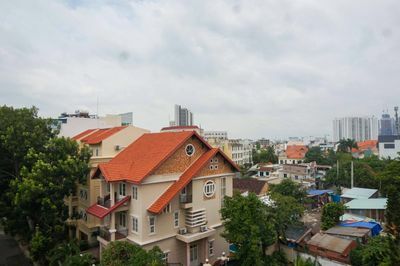 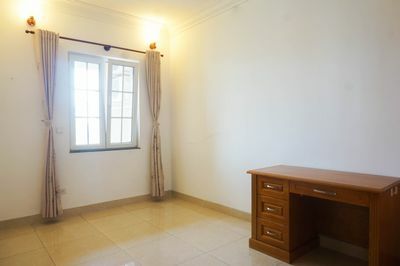 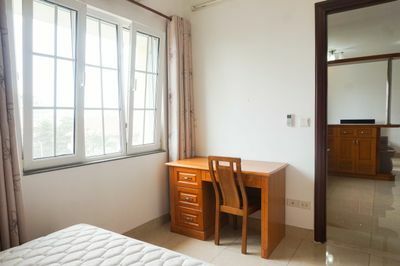 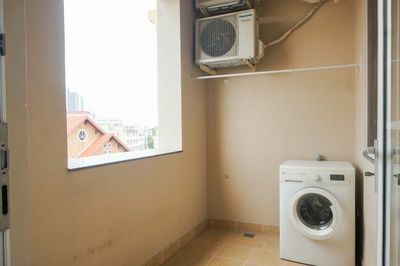 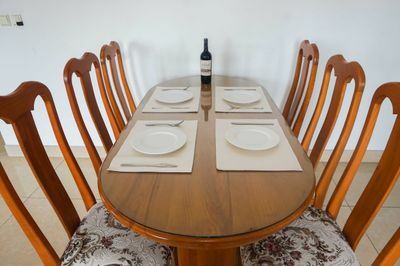 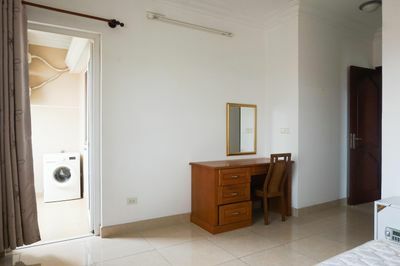 The rental price is 1000USD including internet fee and cleaning and laundry (3 times/week). 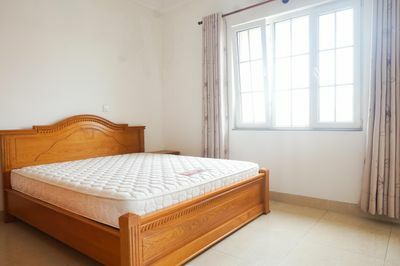 Moreover, located on District 2, it takes you just a few minutes to the commercial and entertainment in District 1 and 3.